Grocery and meat markets operated by fellow Volga Germans were important parts of the community supplying local residents with the foods that they were accustomed to in Russia as well as offerings from the New World. Over time, most of these businesses gave way to the large commercial operators such as Fred Meyer and Safeway which located stores in the community. Danewolf's Grocery and Meat Market on NE 13th and Failing. Lydia and Marie Danewolf stand in the entrance to the store. There were several of our fellow Volga Germans, or Russian Germans, as some preferred to be called, in the grocery and/or meat business. Like most grocers of those days, they did most of their business on credit, or on the books. Usually it depended on a person's job and how often he had paydays, which determined how often he paid his grocery bill. There was very little cash and carry business, which came into being mostly with the so-called supermarkets in the late thirties. Most employers paid their employees twice a month or every two weeks, then it was usually on Friday. When you paid your grocery bill, you usually got a cigar and a sack of penny candy to take home to the children if you had them, but which German family didn't? The grocer had wooden barrels of dill pickles, sauerkraut, pickled pigs feet, drums of kerosene, 100 pound bags of potatoes, sugar, flour, rice and beans. He bought from wholesalers, farmers and even neighbors who had good fruit, berries or vegetables. Farmers brought eggs and live chickens usually on Thursday afternoon or Friday morning. My son killed and plucked about 50 chickens in a store basement every Friday night after the store closed, which were sold to our noodle soup makers on Saturday. He and his employer also made about 200 pounds of bratwurst on Friday afternoon before killing the chickens. They would sack up potatoes, which were sold by the peck, or bushel, rather than the pound. Fruit was sold that way too. There were hundreds of Grade A raw milk dairies around and the price of milk was six cents a quart. Any bulk items, which came in barrels, could be bought by any amount you wanted, scooped into a grocery bag. 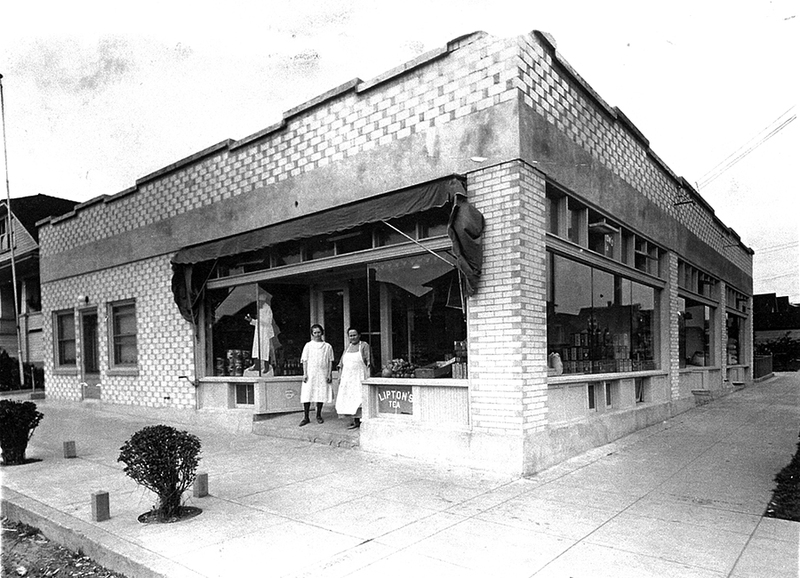 Some of our countrymen in the grocery/meat business were Repp Brothers, Danewolf's, and Krombein's. During Prohibition you could even buy a little bootlegged whiskey at some stores. Usually it was put in a sack under a peck of potatoes and the supplier wasn't stupid enough to sell to someone he couldn't trust.